Your mind full of tears? Searching for a good time? Waitin' for all these years? Well, I hope you're feeling better. What i liked most about eBay in 1999 - 2002 was being camped on there trying to buy some rare mustangs that would occasionally come up. it was fron-tear times then. Im not sure how the mathematics of it work, but that 66 Mustang I bought then for just over $1000 is worth about $2000 now, just like i think with inflation a thousand bucks then is worth two thousand now. if you bought no shares in world com. and we get to the end of the game in 2016 and reverb reveals that there is an enormous glut of used 60's Mustangs still out there. It really makes me wonder what homes in the US must have looked like in the 60's and 70's, they must have been littered with unplayed Fenders under beds and in attics that people bought, strummed once and said nah, this aint for me. Maybe I should have bough peak beanie babies. 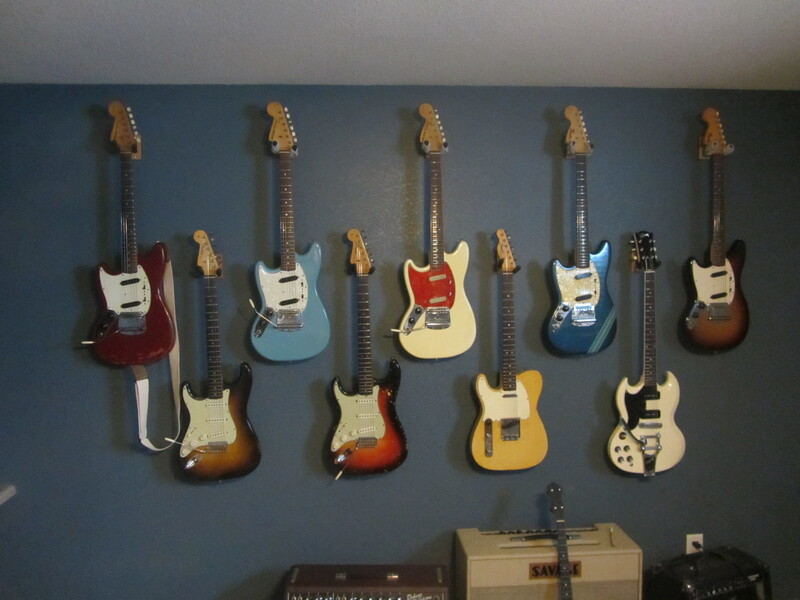 Stratocrazy has like NINE 1954 stratocasters, that Songbirds museum has entire wings of "rare" guitars. It must have been a sight to see these things get pumped out back in the day. I could have bought a Fender CBS blue/purpleish compstang in great condition for $650 in 2001 and I passed cause I thought it was too much to pay for a Mustang. I was also in Carmine's in NY around 2000 when this kid from Japan who was doing a semester study abroad was trying to get $350 bucks for an Antigua late 70's Mustang. There was no interest from Rick. I saw him outside and asked if I could see it and he said "I would take $250", I passed. This. I paid $375 for a '78 Stang in 2004 or so. wtf I thought you were like 14 or something? I'm alive and well. 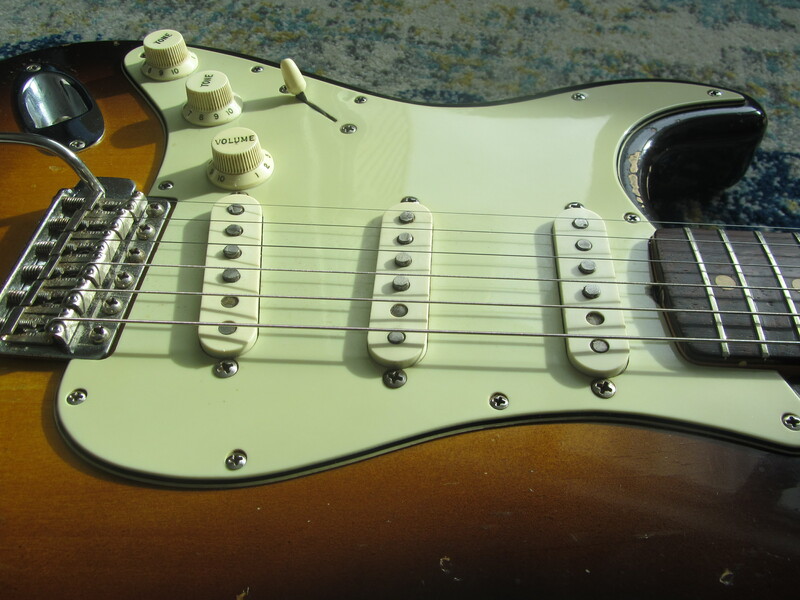 I sold both of those to fund a 1960 Strat. But I still have love for the 'stangs. Anybody got any lefties I need to know about? Pics of the strat please! What does your collection look like now? I'd love to share a few pics, but I seem to be having troubles getting them to embed into my reply. It used to be easy with photobucket, but I tried to go to my account, and apparently it costs money now. Tried my google photos, but only the text shows up. Any help? Ask for access to the Shortscale Uploader. Thanks mkt and Nick for the help, here's a few pics. 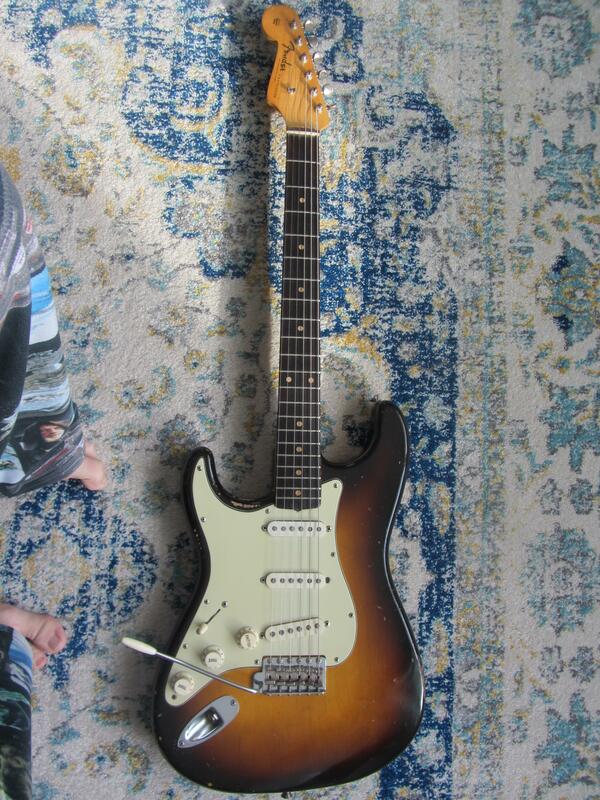 The Strat is all original aside from the D tuner being replaced. I've also added a '67 Tele that can be seen in the first photo- it's mighty tasty, has quickly made it's way into my top 3. 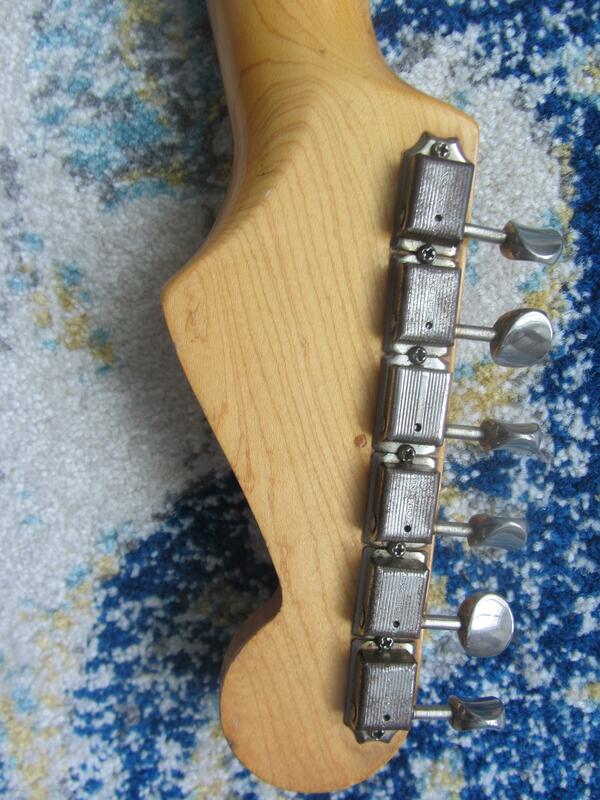 The strat looks awesome. 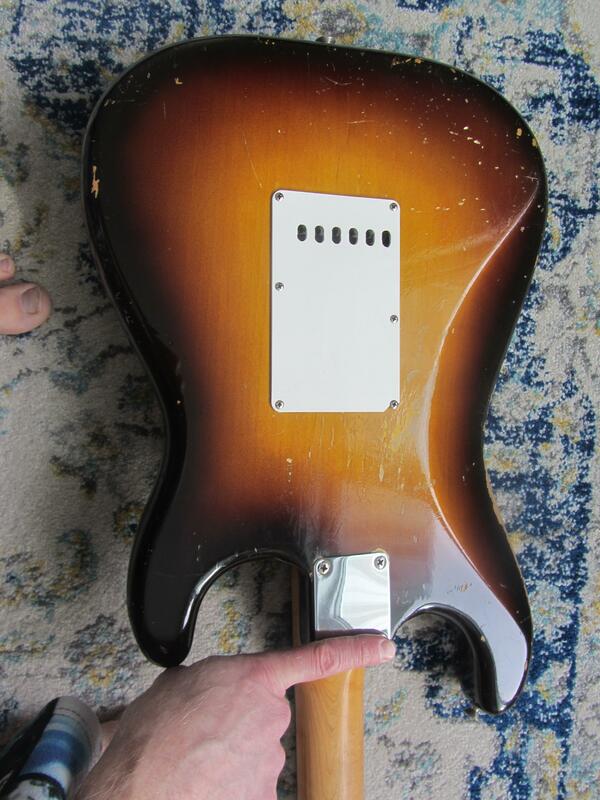 I've got the feeling from your collection that it's ten years ago now and I'm on my daily update on what new has happened on guitar forums since yesterday. Almost everything you see in my collection has just been added within the last five years. 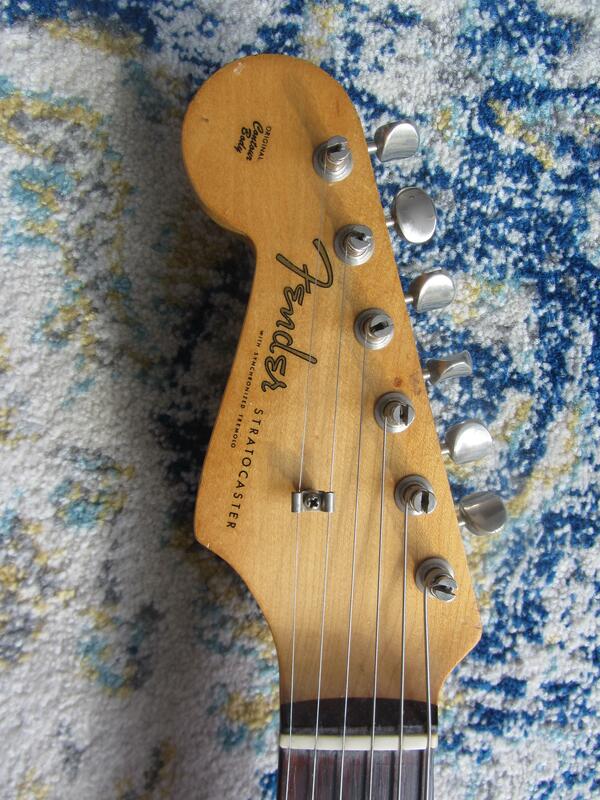 I think the '65 strat has been with me the longest, June of 2013. I also have a mid 90's Les Paul Goldtop R6 not pictured that is pretty sweet.